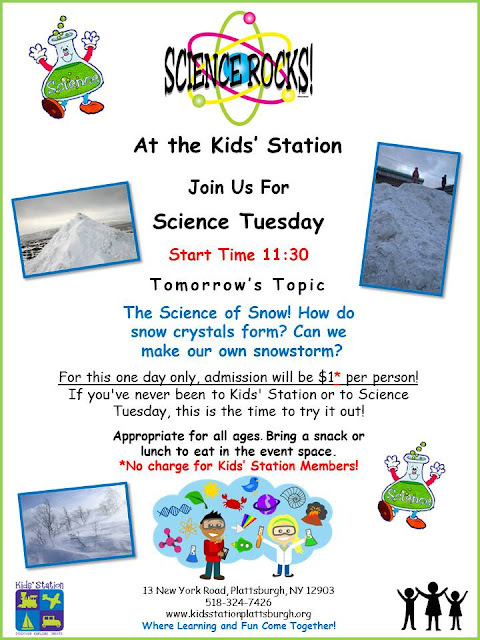 Kids' Station Children's Museum: Reminder tomorrow is Science Tuesday. Tomorrow only admission is $1 per person all day 10 to 3! No charge for members. Reminder tomorrow is Science Tuesday. Tomorrow only admission is $1 per person all day 10 to 3! No charge for members.